Precision Towing Service now has a location in Fredericksburg Virginia. 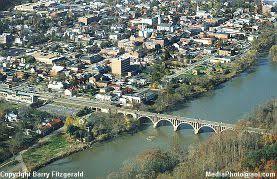 Our new location is in the heart of Fredericksburgburg city. We offer towing services to all of Fredericksburg and Spotsylvania. We have a fleet of tow trucks ready for all your towing needs in Fredericksburg Virginia. This decision to open up was do to the demand for towing services in Fredericksburg and Spotsylvania Virginia. We now can help you with all your towing needs in a timely manner. To schedule a tow or even just a jumpstart, call us at (540) 848-4956. Our new location is located at 1919a Princess Anne St Fredericksburg Virginia 22401. We deliver all the same quality towing at an affordable price right here in downtown Fredericksburg.